Hello Dealsnloot Readers,Here is another great app for earning Flipkart vouchers. Let’s try out this also! Scandid App Loot: Rs. 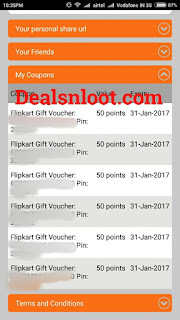 5 on Signup & Rs.5 Per Refer, Redeem for Flipkart Vouchers.Get Rs 50 Flipkart voucher for referring 10 friends to download Scandid App, Offer valid for 1st time installation in your device.Downloading scandid app you will get 5 point which is equal to Rs. 5 and 5 points or Rs. 5 on Referring one friends. 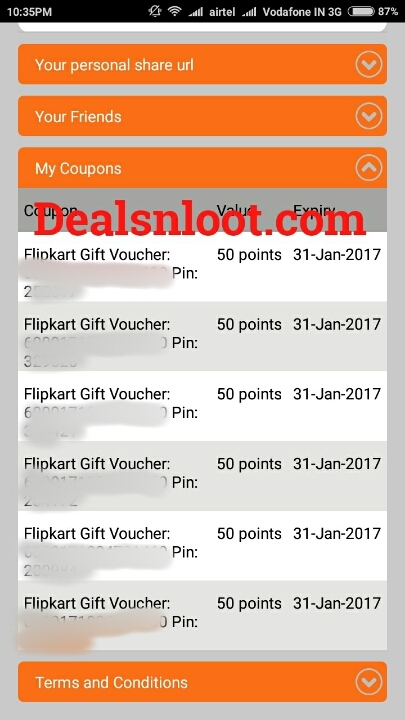 You just need 10 friends to get Rs.50 flipkart voucher.Grab This App Loot and Earn Unlimited Flipkart Vouchers. New Condition : - Your Referral User Install App Minimum 7 Days To Get Referral credit Successfully. 3) Now Sign up your account. 4) Goto Menu >> Share & Earn >> Refer your Referral link. 5) Now Refer your 10 friend to earn Rs 50 Flipkart voucher..
6) Yuppp !!! get the 5 points for Sign and 5 points for each referral. Referral User Install App for 7 Days To eligible for Referral Rewards. 1. The Refer and Earn Program is only valid on new app installs. 2. If you had referred your friend from web, he/she can install mobile app using your personal URL. If he/she uses someone else's referral URL, that person will get benefits, even though you had referred him/her first. 3. Your friend has to retain the app tor 7 days for you and them to be eligible for Referral Rewards. 4. For Every successful referral, you and your friend both will earn 5 points. 5. For every 50 points, you will get coupon. Balance credits will be maintained. 6. One user can earn maximum 150 points. 6.1. Presently we are giving Rs.50 Flipkart coupons for 50 points. 6.2. The coupons and the value may change over time. 7. Credits earned under Referral Program is treated as Promotional credits and has validity of 3 months, subject to campaign duration. 8. 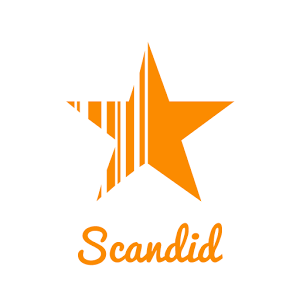 Scandid has all rights to terminate any user's Scandid points and cancel the program..